When it comes to mangoes, Filipinos know that there is only one place you need to go… GUIMARAS, PHILIPPINES! An island located in Iloilo and is locally hailed for producing the world’s best mango. 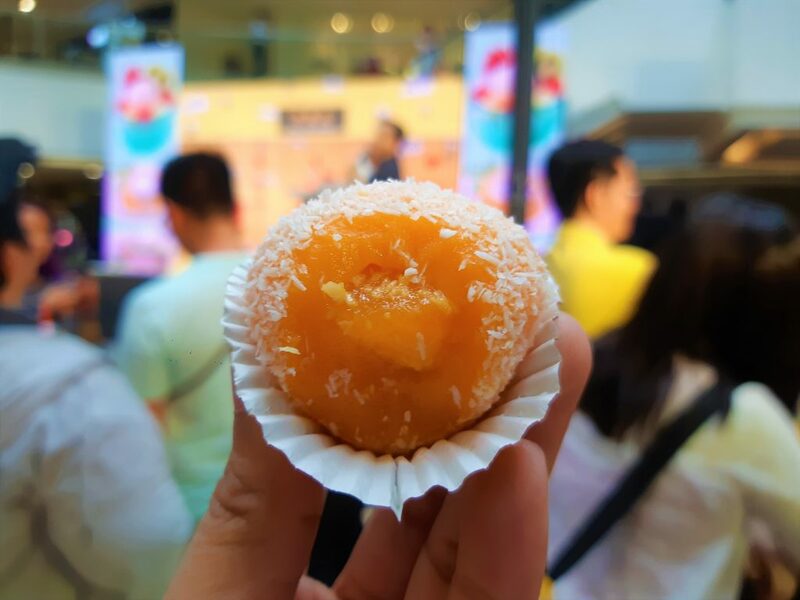 For generations, the Ilonggo’s took pride in perfecting the art of producing the sweetest mangoes known as the Carabao Mango. It is organically produced and is rumored to be have been served in the White House and Buckingham Palace. 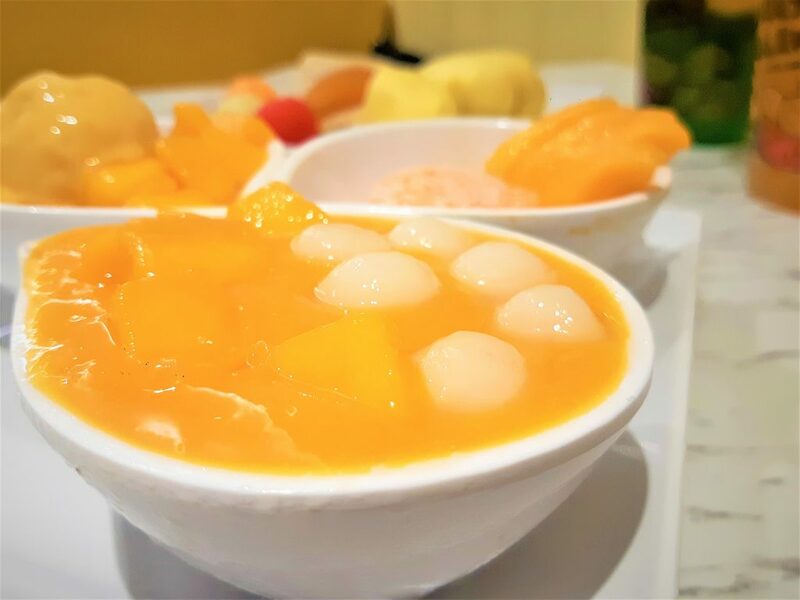 Hui Lau Shan brand is globally known for using Philippine carabao mangoes in its deliciously rich range of dessert creations and refreshments, which makes it a huge hit in many parts of the world. 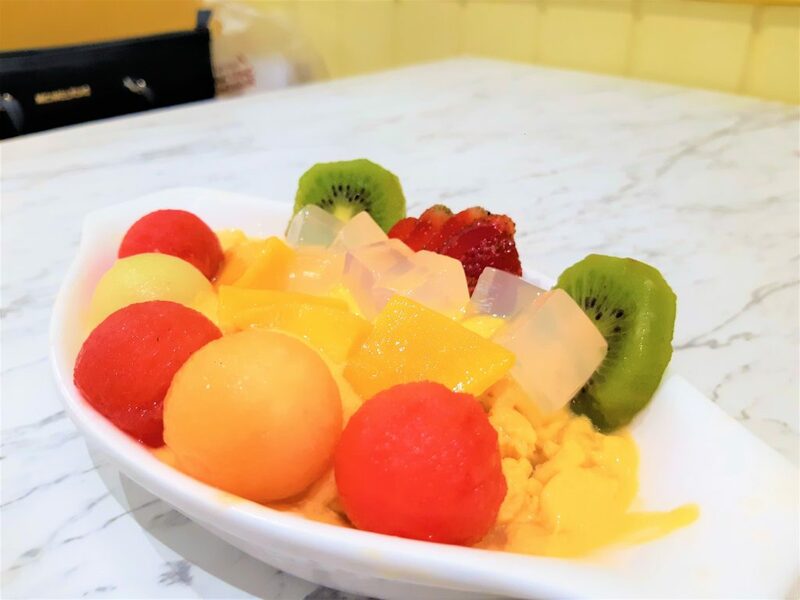 Originally from Hong Kong, this brand has popularized our Mangoes in prominent cities like Paris and Melbourne, as well with our neighboring Asian countries like China, Malaysia, South Korea, Macau, Taiwan, and Vietnam. 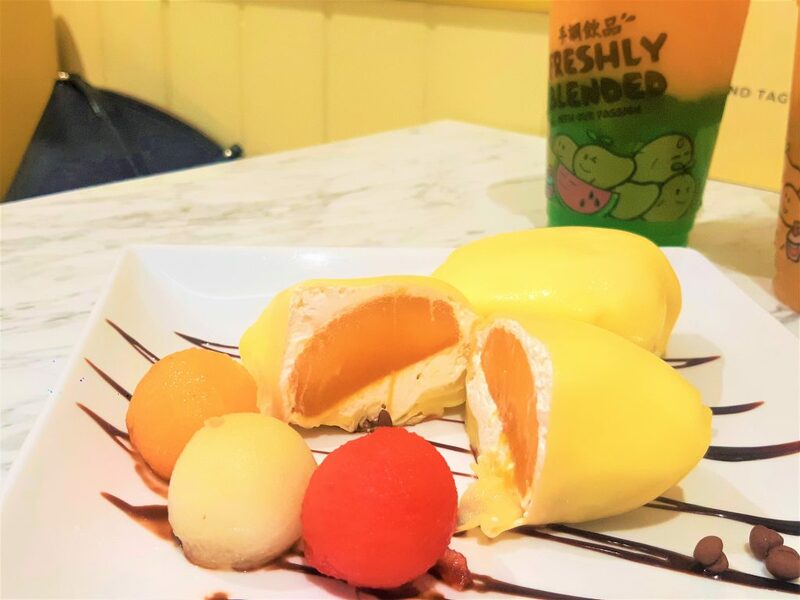 Hui Lau Shan has made the world swoon over the sensational taste of its mango creations! 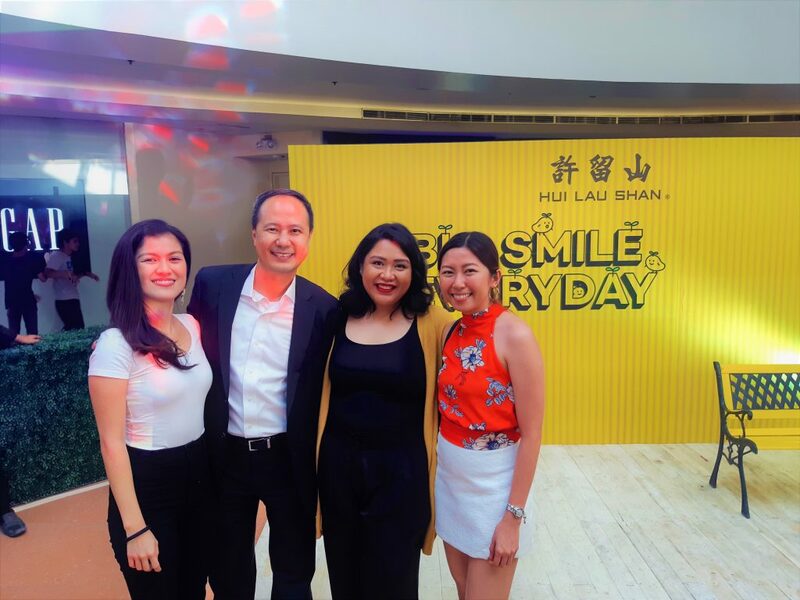 And so, starting March 23, 2019 (Saturday), Hui Lau Shan, partnered with Fat Daddy’s Group, will officially open its gates to give Filipinos a taste of what our mangoes can really do, as they give their First 10 Buyers A Year Supply of Mango Desserts! 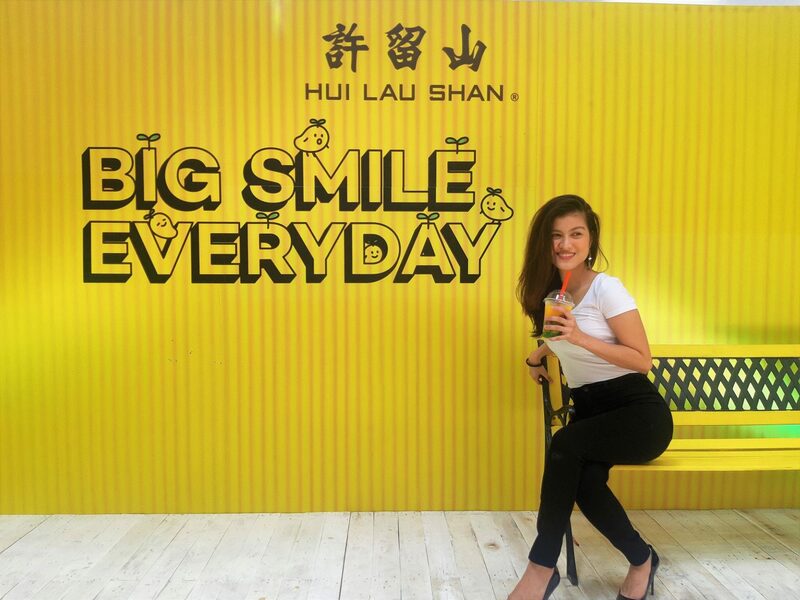 So if you are not busy this coming Saturday, head over to Hui Lau Shan’s first flagship store at SM Megamall Atrium – Level 4. 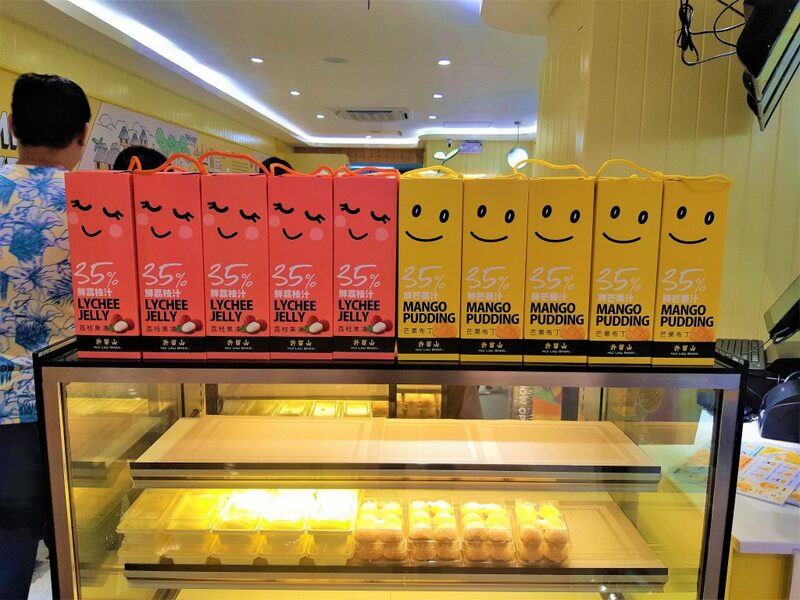 I highly recommend that you try the Mango Pancake and Mango Mochi! “What we have here are either milk tea places or dessert places. There was no place that was like this.” Josh Versoza, on bringing Hui Lau Shan in the Philippines. 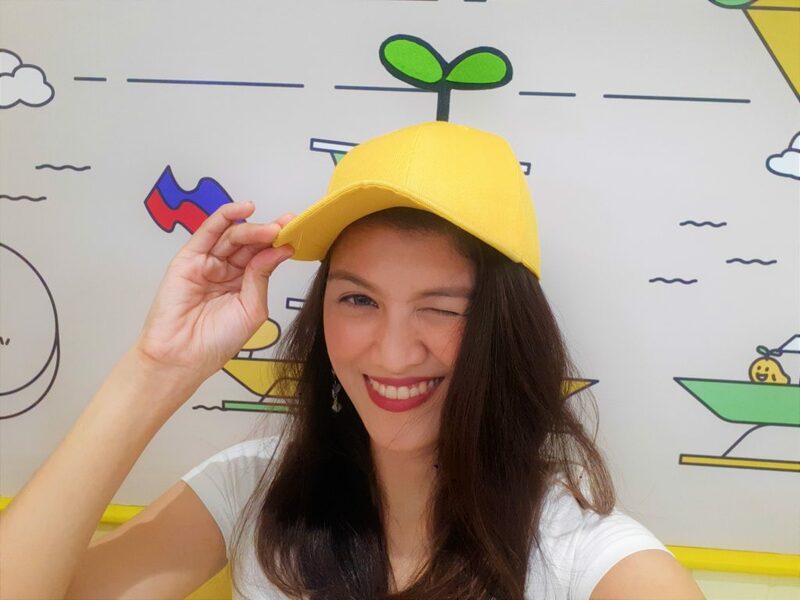 To match the happy Philippine market vibe, it also presented itself with a signature yellow, instead of its original red from their HK branch. 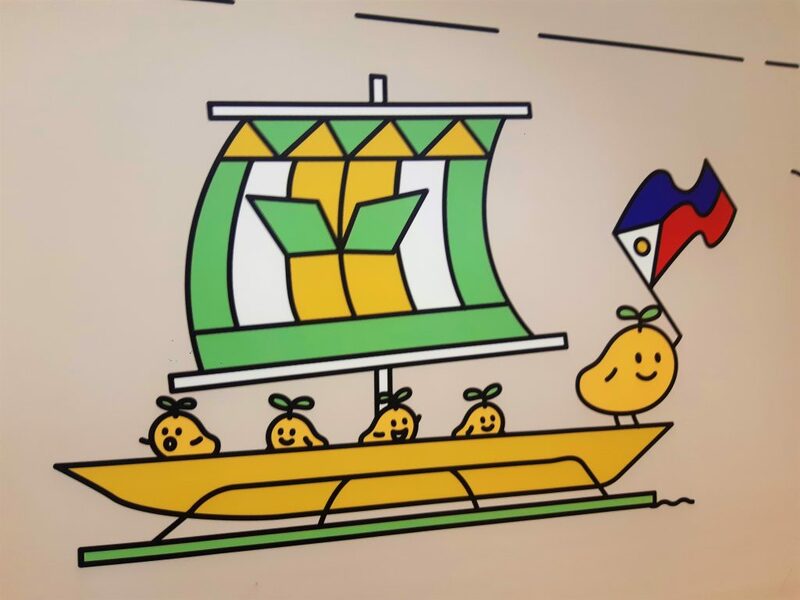 “The grand launching of our first store is about celebrating the homecoming of our pride, the Philippine carabao mangoes. 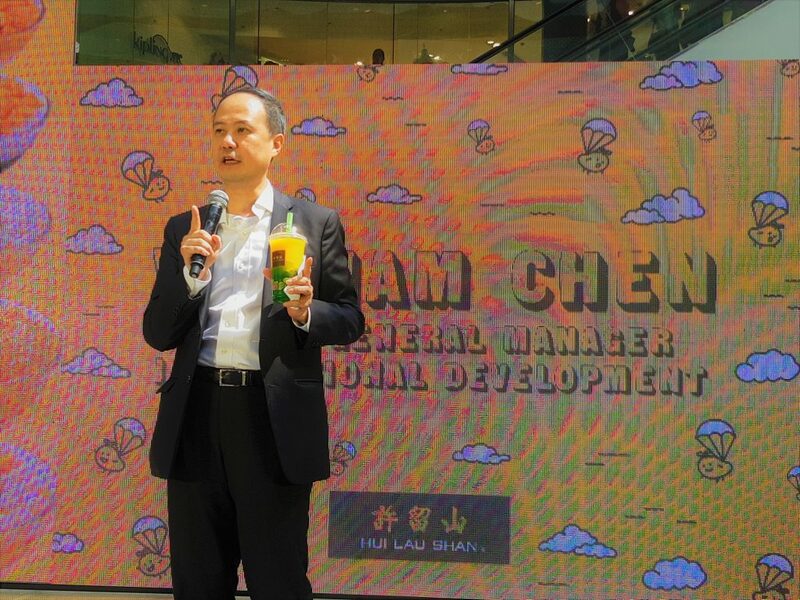 Plus, enjoying the taste of Hui Lau Shan mango treats is also a simple way of supporting our local agribusiness because the brand is expected to consume one ton of mangoes for 10 to 15 stores a week,” Freshnaida Versoza, President, and CEO of Fat Daddy’s Group. The products will retail at a starting price of Php 95. 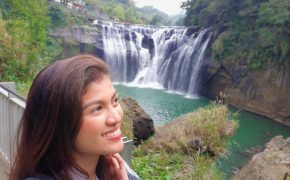 Follow Hui Lau Shan Philippines on Facebook (www.facebook.com/huilaushanph) and Instagram (@huilaushanph) for more details. As you all know, my boyfriend and I love mangoes! It is one of the reasons that made him love the Philippines even more. It has become our hobby to seek out the best mango shake in every place we go, and it has bonded us more than any other fruit in the world. 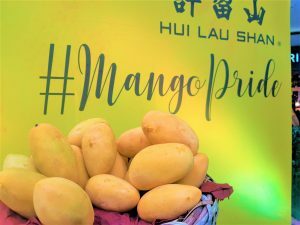 So, to share with you the kind of love that we have had with mangoes, I am giving away 600-pesos worth of gift certificates from HUI LAU SHAN! How far will this 600 GC take you? 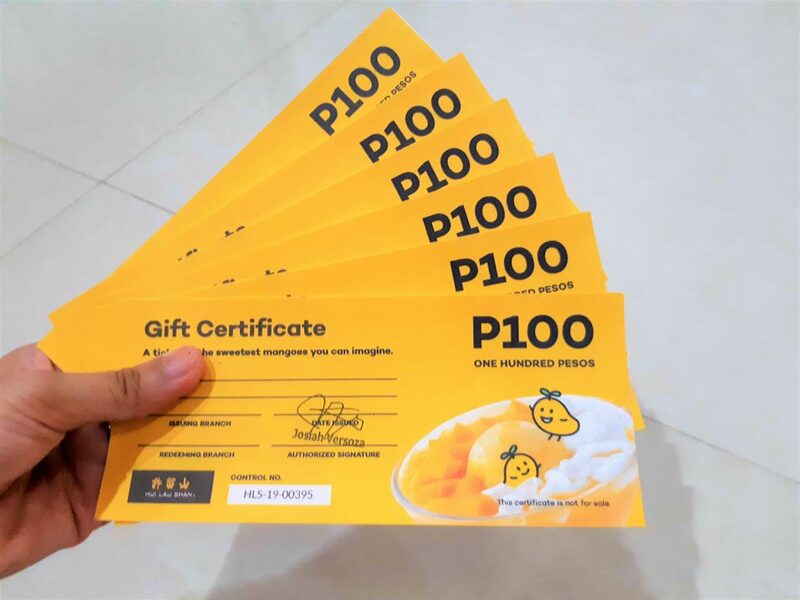 well, considering that their starting price is at Php 95 – that’s officially 6 mango refreshments that you can enjoy, without an expiration date, and valid at any branch nation-wide! Want to get updates on other events around Manila? Catch my latest posts here.